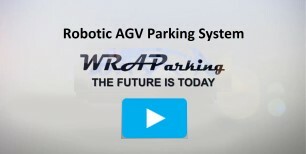 The Sub Puzzle is an Automated Parking System where the driver can park and retrieve their own vehicle. The short video above shows retrieval of a customer’s car that was stored in the sub level of the system. This system is designed to be placed in a pit, with up to 2 parking levels at and above grade. 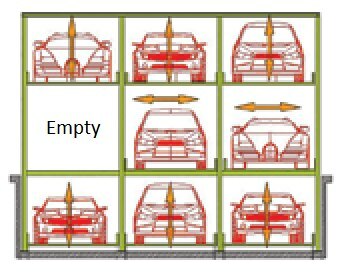 In the picture, the faded bottom row of vehicles indicates the pit level. The ground level parking trays move left and right. This allows the top and bottom rows to be stored and retrieved. This system is suitable for indoor or outdoor installation in commercial, office, and residential applications. Operation is very efficient and timely, allowing for a vehicle to be retrieved in 60 seconds or less. Vehicle retrieval is performed via a PLC touch screen control that provides a user friendly one-touch operation. The system can be ordered from a minimum of 2 wide (housing 5 vehicles) up to many wide (please discuss your needs with a sales agent). Optional equipment that can be ordered includes special payment processing kiosks, vehicle detection sensors, light and voice alerts, driving platform catwalks, and a liquid drainage system.